From 2002-2008, the German bank cleared transactions worth $253 billion for Iranian and Sudanese companies that were sanctioned by the US. It used a method called ‘wire-stripping’ so as not to leave an identity on the transaction. “Commerzbank concealed hundreds of millions of dollars in transactions prohibited by US sanctions laws on behalf of Iranian and Sudanese businesses,” said Assistant Attorney General Leslie Caldwell in a statement published by the Department of Justice on Thursday. The Frankfurt-based bank, which has its US branch in New York, was accused of performing transactions for an Iranian shipping company linked to weapons of mass destruction. The bank continued to process more than $224 million worth of dollar transactions to 17 Sudanese banks when other banks wouldn’t. The Justice Department said Commerzbank used non-transparent methods. “Commerzbank committed these crimes even though managers inside the bank raised red flags about its sanctions-violating practices. Financial institutions must heed this message: banks that operate in the United States must comply with our laws, and banks that ignore the warnings of those charged with compliance will pay a very steep price,” Caldwell said. The US started levying sanctions against Iran in 2002 to deter Tehran from its nuclear ambitions. Comprehensive economic, trade and financial sanctions have been in place in Sudan since 1997 over the state’s support for international terrorism. 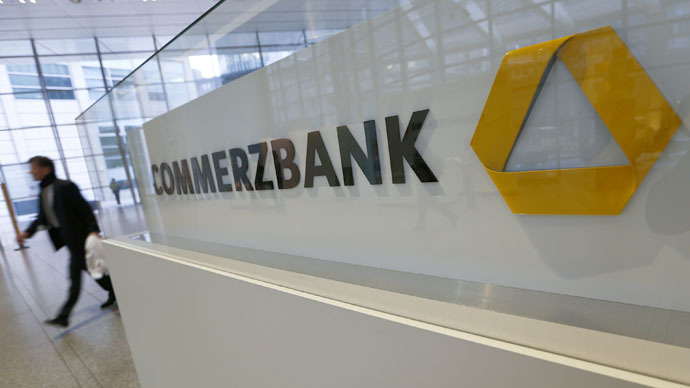 Commerzbank was found guilty by the US Justice Department for violating the International Emergency Economic Powers Act (IEEPA) and the Bank Secrecy Act (BSA). It agreed pay a $610 million fine to the New York State Department of Financial Services (DFS), $200 million to the Federal Reserve; a $79 million fine for violating the International Emergency Economic Powers Act (IEEPA), as well as forfeit $563 million. BNP Paribas was slapped with a much larger $8.8 billion fine in June for similar sanctions-related infractions.